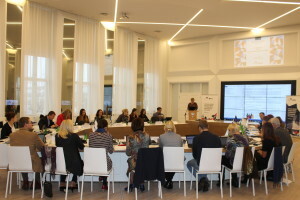 On 1-2 November 2016 the 2nd meeting of the Joint Monitoring Committee (JMC) of the Estonia-Russia Cross Border Cooperation (CBC) Programme 2014-2020 was held in Rakvere, Estonia. Members of the JMC were introduced with the state of play of the Programme preparation process. During the meeting numerous documents required for the Programme implementation were discussed. JMC discussed and decided to propose all five Large Infrastructure Project (LIPs) summary forms submitted to the Programme by 31 August 2016 for approval to the European Commission within the available programme financing. Decision was made also to approve the selected chapters of the Guidelines for the 1st Call for Proposals. The final approbation of the document will be made after signing the Financing Agreement between the EU and the Russian Federation. With the decision of the JMC the time limit for submission of the project applications (project summary forms) for the first Call for proposals is predetermined from 17 January 2017 till 3 April 2017. 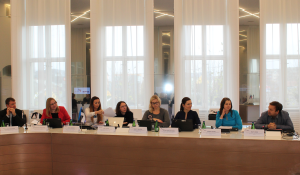 Meeting was chaired by Ms Julia Koger, Adviser of the European Territorial Cooperation Unit, Regional Development Department of the Ministry of Finance of Estonia. Next meeting of the JMC is planned to take place in June 2017 in Russia. 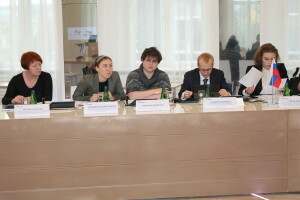 The Joint Monitoring Committee members are representatives from the National and Regional Authorities from Estonia and Russia. JMC is responsible for effective and qualitative implementation of the Programme, approving projects to be financed and monitoring implementation of the Programme. Please visit the photo gallery of the meeting HERE.